Five minutes with a Chicago expert on the Loews meeting spaces and event capabilities. 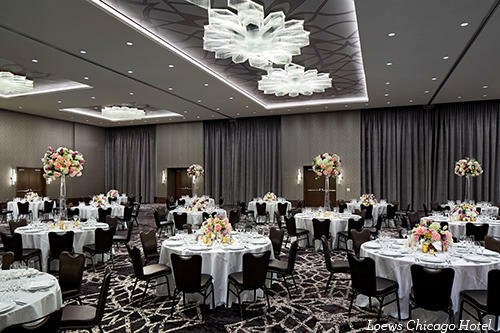 A top choice for corporate events, meetings, and weddings is Loews Chicago Hotel. Attendees can enjoy 29,000 square feet of meeting space, two ballrooms (with pre-function areas), 11 meeting rooms, a 9,000-square-foot terrace, and three dedicated meeting planner offices. Here&apos;s what Loews Director of Catering and Conference Management, Melissa Powles, had to say about this premier meeting destination. Q. What makes Loews Chicago Hotel stand apart from other nearby meeting venues? A. What really sets Loews Chicago Hotel apart from the pack is our spacious and modern event spaces. We have two ballrooms that can accommodate groups of almost any size, plus we have an amazing terrace space, Streeterville Social. It is the perfect space for outdoor lunches and receptions, and it also conveniently keeps attendees onsite while offering a change of scenery—complete with a view and fresh air. In addition, we are 100 percent dedicated to providing unbelievable service to each and every group that walks through our doors. From our dedicated Meeting Planner Offices to AV capabilities that can push out live feeds from our general sessions to break-out rooms, we think through every detail to make sure our groups have the most seamless meeting experience possible. Q. Describe Loews&apos; award-winning catering services. A. One of our stand-out catering services is that the food we serve is restaurant quality, with impressive presentation included. Our Executive Chef Mark Payne is one of the very best in the business. He dreams up custom menus that are innovative and fresh, all designed to wow our guests. What&apos;s more, our service team is passionate and committed to their work. They are personable and friendly and, most of all, they cater to each and every guest no matter the group size. Q. How do Loews Chicago&apos;s Meeting Specialists help execute the perfect event or meeting? A. The Loews Chicago conference service team is top-notch. We pride ourselves on being attentive, friendly and committed to planning and executing events that will exceed expectations. Knowing that every group has different needs, our team [has tremendous expertise] in listening to our meeting planners to understand the most important factors of each event. That way, we can customize every element of the meeting to the specific group. 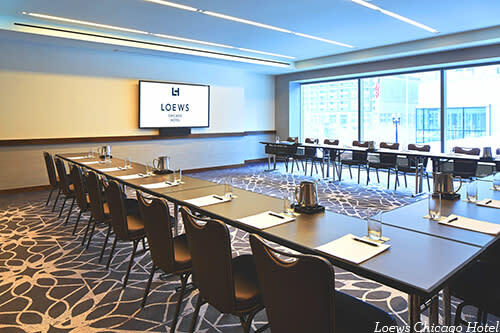 Connect with a Loews Meeting Specialist, submit an RFP and start planning your Chicago event.